A maker of custom plastic containers is expanding to the Las Vegas Valley — the company’s first western location. 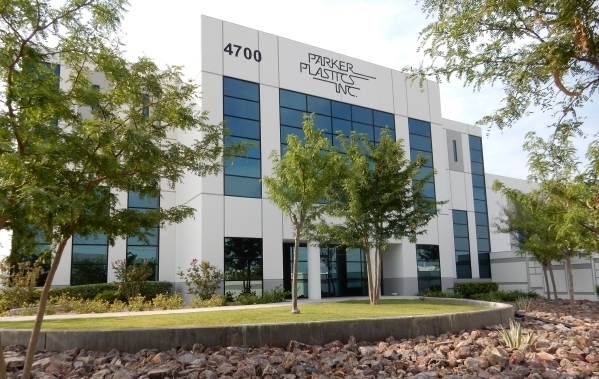 Parker Plastics Inc. will move to its new location at 4700 Engineers Way in North Las Vegas, near Craig and Interstate 15, during the third quarter this year. The company is planning to lease the location. “The biggest reason was freight cost to serve our customers out west,” said Matt O’Neill, new projects manager at Parker Plastics Inc. The 70,000-square-foot facility will house Parker Plastic’s polyethylene terephthalate (PET) operations. PET operations can create common packaging such as soda and water bottles. Parker Plastics also creates containers for other items in the food industry, including condiments such as mustard, honey, barbeque sauce and salad dressing. “In addition, we serve household chemical products,” O’Neill said. Parker Plastics also manufactures oil and agricultural chemical bottles, but that won’t be done at the Las Vegas facility, he added. Those productions are handled in the company’s Wisconsin and Oklahoma plants. The company has one other location in Maryland, giving Parker Plastics a total of four. The three eastern facilities are each 100,000 square feet. “The goal is to eventually bring our whole range of capabilities to Nevada but at this point we’re just starting with PET,” O’Neill said. The company decided to move to Nevada because of its business-friendly environment, O’Neill said. The location also gives Parker Plastics an edge over competitors. And Parker’s customers could see some of the savings. Parker Plastics originated in Tulsa, Okla. The venture began as an injection-molding company, in which products are formed by injecting plastic into a mold. In 1989, Parker expanded into blow molding, in which compressed air is blown into pre-formed plastic to make a hollow product. The company’s debut item was a line of honey bear bottles. Parker later moved into custom work while providing clients with an array of stock items. On the jobs front, Parker Plastics had some employees transfer here from other facilities, but most of the hires will be from the valley, O’Neill added. “Once we’re up and at full production, we should hope to have about 60 employees at this plant,” O’Neill said. The company’s products also are environmentally friendly.